Added on October 3, 2013 by Steve Jensen. It's a rare thing to see these classic yachts racing. These were the rocket ships of the 30's, 40's, 50's, and 60's. The combination of constant upkeep and meticulous restoration make these boats a delight to see. There were 6- 12's, 4- 8's, and 10- 6's all of the old rule. 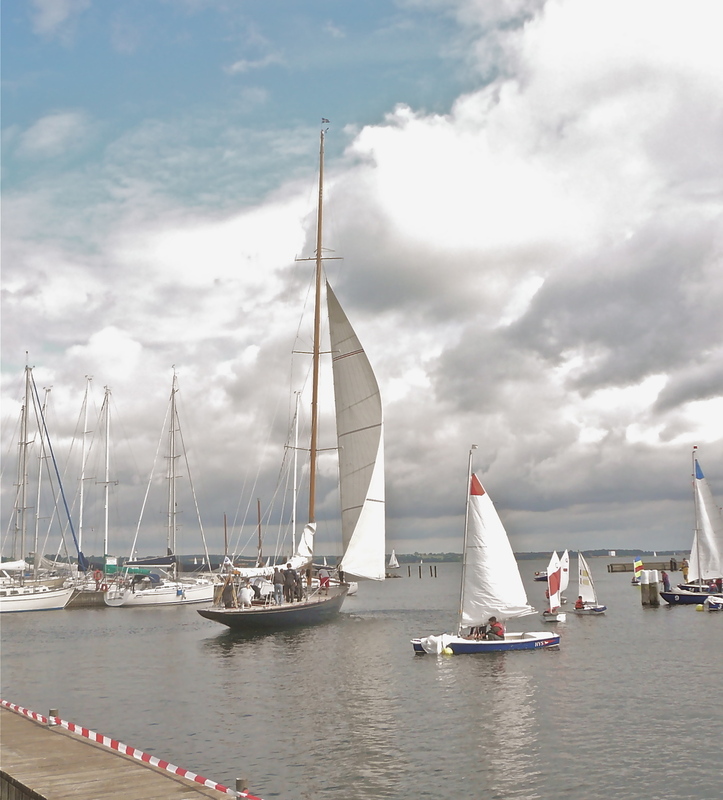 The regatta was sailed on Flensburg Fiord Germany, out of the Glucksborg Yacht Club the summer of 2012. 12's rounding the windward mark. US5 on the downwind leg. 12's on the downwind leg. Can25 8M at the dock. Can25 8M sailing to windward.